The jogger pant is dead according to this morning Chris Evans BBC radio two breakfast show. Making way for a new type of jogger pant made of denim whilst, still looking like a classic pair of jeans. Really is this true? This new trend of denim does not surprise me since, wearing sportswear for the gym and Soul Cycling has taken a new level of its meaning in the wardrobe. Making wearing anything sporty part of the ‘Sport Luxe’ trend. The denim jogger makes it presence onto the market after, denim took a lighter approach back in the 2013 season. Making denim the perfect weekend style. The denim jogger pant is well designed yet, it has more of an upgrade on the style and finishing compared to the standard jogger pant. The pant is super comfortable. To find the perfect pair for you: they should be slightly fitted at the waist and ankle, however, they should give you room throughout the leg. Like with many of trend ‘Sport Luxe’ items, they come with a varied price tag. 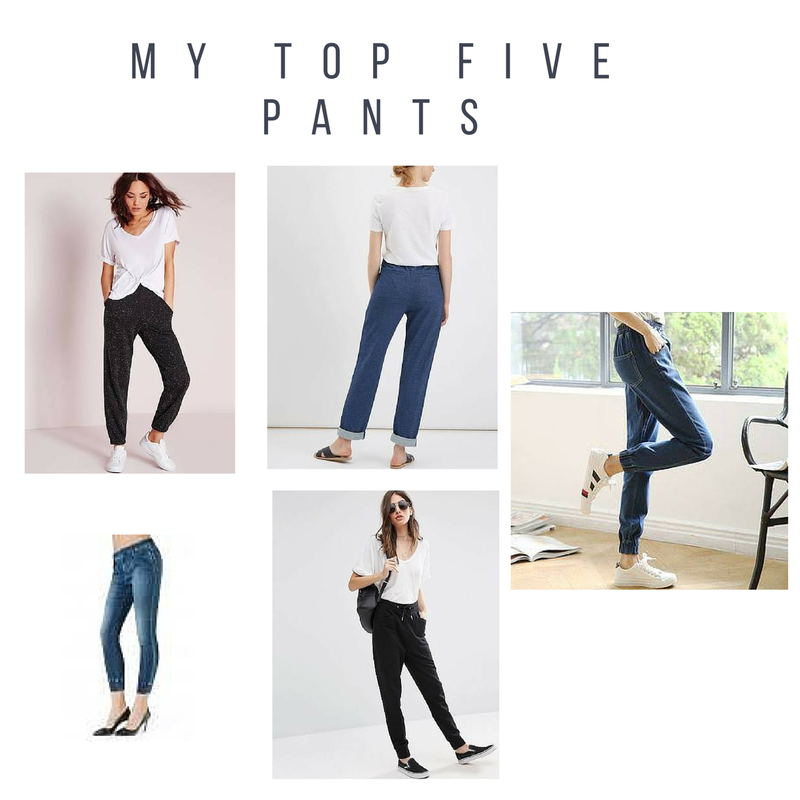 For me personally, I will be sticking to my classic pairs of skinny jeans since I don’t buy into such trends which are likely to become a part of the throwaway fashion society. We shall see. 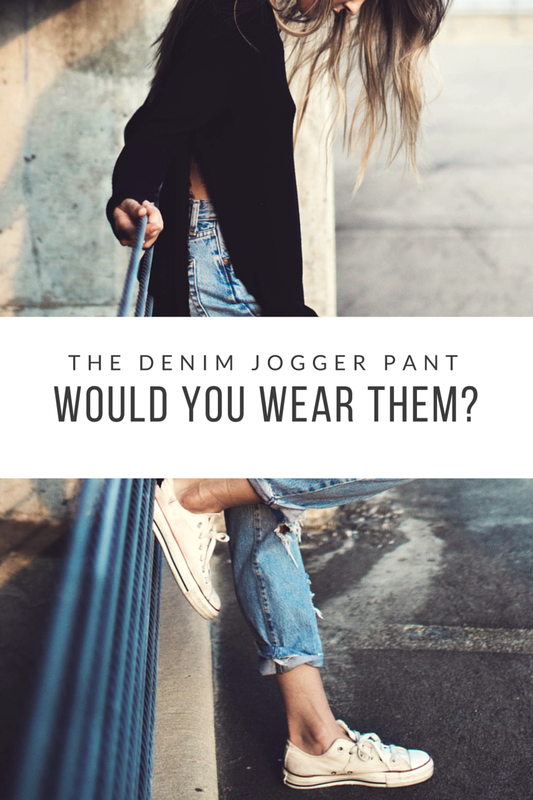 Would you buy into this denim jogger pant trend? Share your snaps and verdicts with me of your denim jogger pants on Twitter @EJMfashion.